My goal this year is to work at my business. 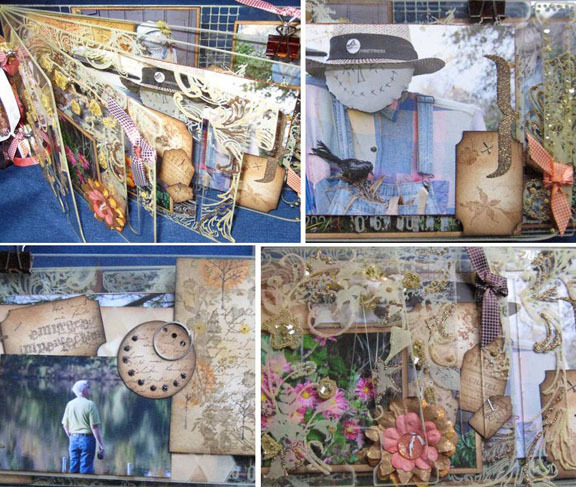 I call myself a mixed-media instructor because I find myself working with such a variety of materials anymore that I cannot, in all honesty, call myself a scrapbook instructor anymore, especially since I tend to teach mostly mini book projects. In order to work at my business my projects really need to get noticed and applying for positions on a few key design teams such as Art Glitter is pretty much essential. 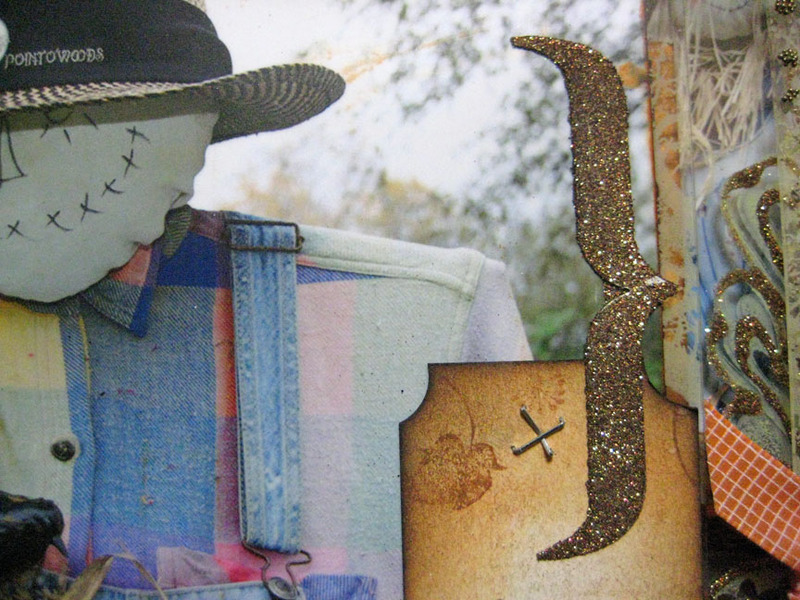 I discovered I could work Art Glitter into my world several years ago when owner, Barbara Trombley, visited my local scrapbook store which I managed at the time. I took her classes only to learn more about her product in order to successfully sell it -after all, I was already the company’s biggest fan of Designer Dries Clear adhesive. What I didn’t count on was that I would absolutely fall in love with one more medium that would be a must in my projects. I always thought of Art Glitter as something blingy and shiny; a product that had no place in vintage or altered projects. I wasn’t into all that glitz and sparkle. But, once I sat in her classes and learned more about her product my mind began to turn over loads of ideas for projects where I could include Art Glitter. The Clearly Autumn mini book included here still ranks as one of my all-time favorite projects and it was my first attempt at using Art Glitter as the main focus of the project. The pages are clear acrylic from Clear Scraps. Using a variety of Tim Holtz and Basic Grey stamps I stamped flourishes and fauna on the backside of the pages using Staz-on ink in Buttercream. I then used my Designer Dries Clear, with the ultra-fine tip of course, to outline certain parts of the stamped image (on the front of the page) before sprinkling with several types of Art Glitter. It was fun deciding which glitters went where. I used micro-fine on the smallest lined images, glass shards to add a bit of sparkle to bold centers and beautiful micro-beads to outline flowers as well as a few leaves. The parenthesis was actually run through my Xyron 150 then dipped in the micro-fine glitter to evenly coat the one side. Ran it back through the Xyron to add adhesive to the back – such an easy way to get complete coverage! This book has been on display and handled repeatedly by many students and curious crafters wondering how it was done and it still remains completely intact. Designer Dries Clear is my all-time favorite clear-drying adhesive. I’ve adhered metal-to-metal with this glue and it continues to amaze me at how well it holds. I find the fine tip is essential for spreading the correct amount of adhesive. 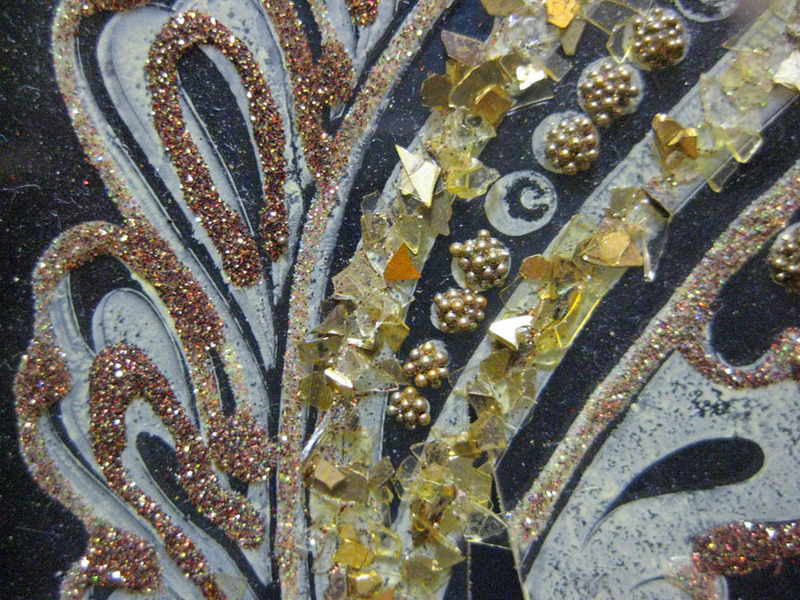 So, give Art Glitter a try – you may find that you too will fall in love with the detail it adds to your projects. So exciting to have this opportunity with Art Glitter! And, look at your projects! Absolutely amazing work. Full of detail and beautiful creative genius! They’d be lucky to have you on their team! BTW … I couldn’t agree more about Art Glitter Designer Dries Clear. I discovered it a few years back after taking a class with Candice Carpenter. Absolutely the BEST white glue EVER! Fingers crossed that the powers that be come to their senses and add you to the Art Glitter roster! And hey … thank you for the hospitality this morning. Your blog is beautiful AND informative! Thank you so much Colette! Glad you enjoyed the blog. I need to get better at posting weekly – but I’m working on it! I have always loved that album. Beautiful! I can’t find an email contact for you Linda. Am I missing it somewhere? I love this album Linda! I don’t think I’ve spotted this before on your blog. Thanks Laura! I think I worked on this album pre-blog is why you haven’t seen it. I’ve also done Winter and Spring. Never had a chance to do Summer – maybe one day. Thank you Robin; it’s always been one of my favorites!